President Obama sees Israeli Prime Minister Benjamin Netanyahu as standing in the way of of a much-needed foreign policy success for his administration. Unfortunately, there are many sources of tension between the Obama administration and Israeli Prime Minister Benjamin Netanyahu's government. The main issue of discord is, of course Iran. Obama seeks an agreement with the Islamic Republic of Iran over its nuclear program that will allow President Obama to claim that he prevented Tehran from building the bomb. The fact that Iran will maintain the capability to enrich uranium, and will not dismantle any of its nuclear installations, is simply swept under the rug as insignificant. Strange as it sounds, it seems that Obama is prepared to brand Iran as a US strategic partner in the attempt to bring stability to a region beleaguered by chaos. Part of this realignment involves American capitulation on the nuclear issue, and an apparent carte blanche for stepped up Iranian activity and influence in the region. Iran is taking over Yemen (and throwing American diplomats out of the country); carving a sphere of influence in Iraq; continuing to support the brutal Assad regime in Damascus; strengthening Hizballah's grip over Lebanon; engaging in subversion in Central Asia; and developing its terrorist apparatus. In the context of Obama's "Grand Bargain" with Iran, all this seems to be okay. Tehran gets all it wants, while Washington gets an Iranian promise not to go nuclear as long as Obama is in the White House. Having made no foreign policy achievements throughout his presidency, Obama, perhaps obsessively, now wants the relationship with Iran to serve as his foreign policy legacy. This foolish behavior negatively affects America's own position in the Middle East, as well as the national interests of its closest ally, Israel. Obama does not care about American international stature. He has advocated a retrenched position in world affairs. Israel, as well, has never been close to his heart, but Obama understands that Israeli concerns strike a sensitive chord with the American public. As long as there is a chance that an address to Congress will obstruct Obama's attempt to sign a bad deal, Netanyahu feels compelled to make a stand. This is precisely why he does not want Netanyahu to speak in the US Congress. Obama fears that Netanyahu's planned March 3 speech could become a catalyst for a public debate about his own dangerous policy toward Iran. He does not want undue publicity for his dangerous foreign policy gambit. The last thing he needs is a gifted orator such as Netanyahu pointing out the glaring deficiencies in the American approach toward Iran. And this is precisely why Netanyahu is determined to defy Obama's wishes. The gravity of the Iranian threat is understood by Israelis of all political hues. As long as there is a chance, however slight, that an address to Congress will reinvigorate the public debate in the US on Iran, and obstruct the administration's attempt to sign a deal, Netanyahu feels compelled to make a stand against all odds to halt a bad deal with Iran. Paradoxically, Obama's efforts to prevent Netanyahu from visiting Washington, and to convince Congress members to boycott the session, only increase the interest in what Israel's prime minister has to say. Among the candidates for prime minister, only Netanyahu would consider attacking Iranian nuclear installations in defiance of the US. Beyond the personal animosity and the vast difference in worldviews, Obama does not want Netanyahu around because he considers Israel's prime minister a serious spoiler of his most important foreign policy initiative. But it is not only in Washington that Obama considers Netanyahu to be unwelcome. Obama wishes to be rid of Netanyahu in Jerusalem as well. This is not the first time we have been witness to American intervention in Israeli elections; with the White House showing displeasure with Likud candidates, and enlisting Jewish activists and donors for the anti-Netanyahu campaign. 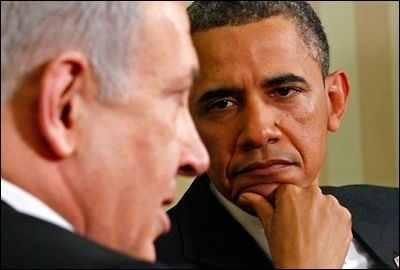 Obama does not want Netanyahu as prime minister of Israel even after a deal is signed with Iran. He has no desire to be exposed to Netanyahu's continued criticism, based on the realization that the proposed deal has many loopholes, or based upon probable Iranian violations of the agreement. He also takes seriously Netanyahu's statement that Israel is not bound by America's unilateral agreements. In Obama's view, a paranoid Netanyahu may still revert to the military option, and thereby destroy his only foreign policy "success." Obama is probably right on this point. Among the candidates for prime minister in the Israeli elections, only Netanyahu is passionate about Iran, and only Netanyahu would consider ordering the IDF to attack Iranian nuclear installations in defiance of the United States. While the campaign in Israel is focused more on personalities than on issues, the underlying theme of the elections is the Iranian threat and who is best placed and most experienced to tackle this challenge. Efraim Inbar is director of the Begin-Sadat Center for Strategic Studies, a professor of political studies at Bar-Ilan University, and a Shillman-Ginsburg fellow at the Middle East Forum.